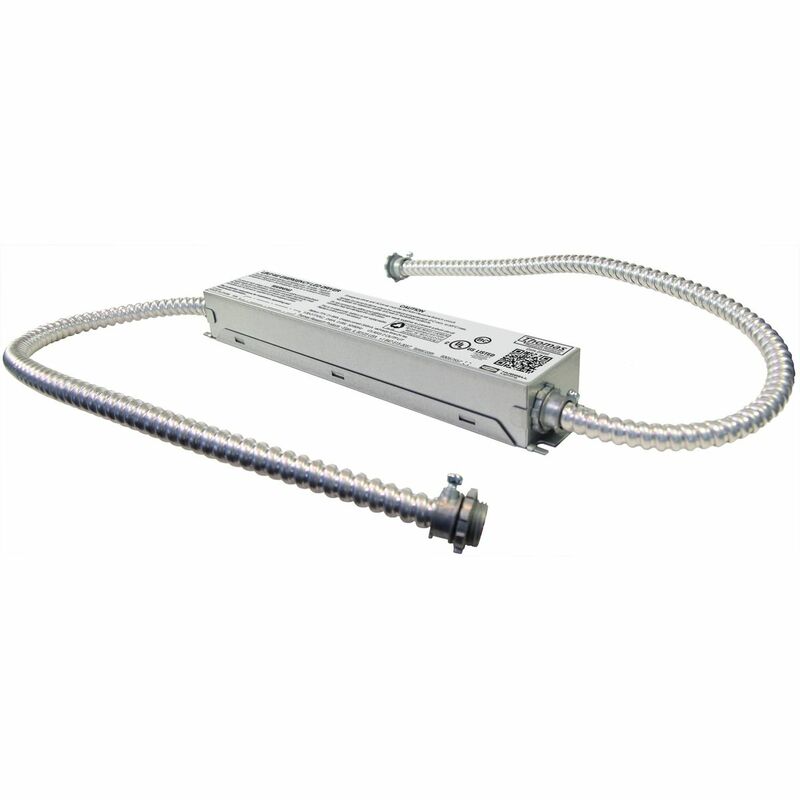 The LBU7-M/M2 is a universal input (120-277V) emergency LED battery pack that works with an AC LED driver to allow an LED lighting load to be used in both normal and emergency operation. When normal AC power is lost, the LBU7-M/M2 operates to provide 10 watts of constant emergency power at a rated output voltage of 15-56Vdc. The constant power design provides backup for a minimum of 90 minutes with no loss of emergency lumen output. When used with emergency-only LED fixtures, no AC driver is needed. The UL924 Listed allows for both field and factory installations of suitable LED loads including LED luminaires, DC voltage driven LED replacements for fluorescent lamps and others.